Join as an Associate member today. The BMC Associate membership scheme supports a range of valuable BMC work, as well as providing our associates with a variety benefits for their organisation and staff. The BMC values the support of Associates from a wide range of backgrounds, from retail and industry to climbing walls, outdoor centres and schools. Through their support, Associates are investing in the wide-ranging work that the BMC undertakes for climbers, hill walkers and mountaineers in England and Wales. Work on improving access to the countryside; protecting upland habitats and wildlife; promoting mountain safety, good practice and equipment standards; encouraging newcomers and young people within the sport – and much more. Access to BMC Travel Insurance and other membership benefits including discounts on publications, for all of your employees. In the case of UK Mountain Rescue Teams who associate, all team members are entitled to purchase BMC Travel & Activity Insurance and enjoy other member benefits. *excludes Personal Accident insurance, Combined Liability insurance and voting rights at the BMC AGM. You will receive the specially designed BMC Associate Member logo to use on your website and in publicity material, so everyone can see at a glance that you are an Associate Member of the BMC. Advance notification of all BMC events with exclusive sponsorship opportunities. This gives you the opportunity to support a variety of BMC events from climbing competitions to nationwide lecture series. The Telegraph Outdoor Adventure & Travel Show , ExCel London – obtain a 10% discount on floor space if exhibiting in the Climb section of the Outdoors Show. For show information call 020 7931 3975 or email sam@vosmedia.co.uk. Exclusive insert opportunities in BMC club mailings. We mail our member clubs (over 300) with information on a regular basis. Annual listing in the BMC Handbook which is mailed to BMC members. 10% off advertising in Summit magazine. To arrange your advert placement please contact our publishers Warners directly, more details here. Your name and logo will appear in the BMC Associate Member section of the BMC website, including a hyperlink to your own site. You can access BMC courses and events, such as the BMC Technical Conference, at reduced rates. Discounts on bulk purchases of BMC publications and videos – the BMC produces an extensive collection of skills and information publications for climbing, hill walking, mountaineering and trekking, which are offered free or at special discount prices to members. To arrange a bulk order please email shop@thebmc.co.uk. 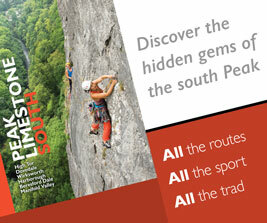 Access discount subscriptions to Climb, Climber, Trail, TGO and Country Walking magazines. Four Copies of Summit Magazine per year. BMC Member Handbook updated every year and packed with information on the outdoors. BMC Associate leaflet dispensers and a selection of BMC material suited to your interests and requirements.